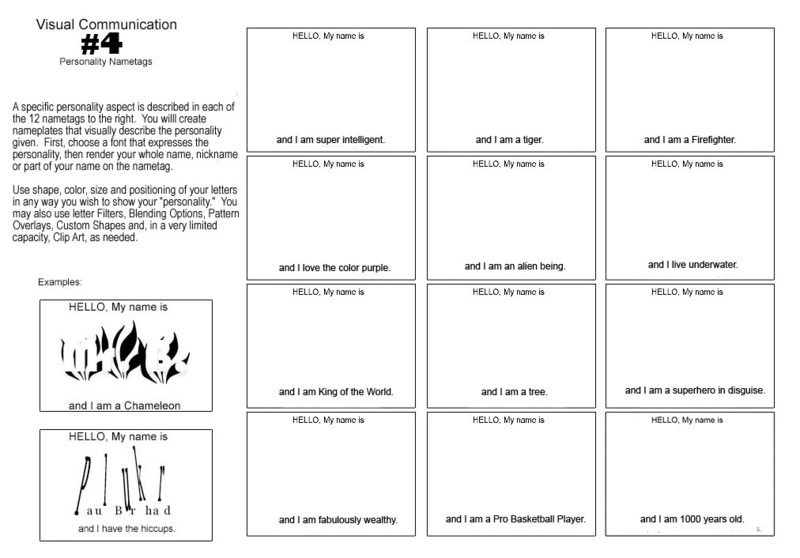 BACKGROUND: This is the fourth in the series of "Visual Communication" exercises. In this one, the goal of the student is to create a series of 12 Nametags, each tag labelling the wearer as a different personality type. The student will use all of their Photoshop skills to ILLUSTRATE the personality trait using the letters of their name on the nametag. 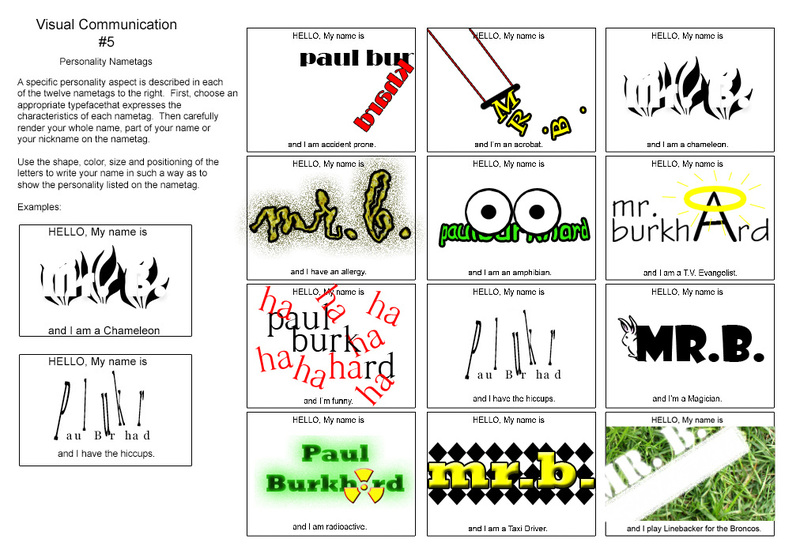 An example of a similar Nametag Exercise, created by Mr. B., appears below. 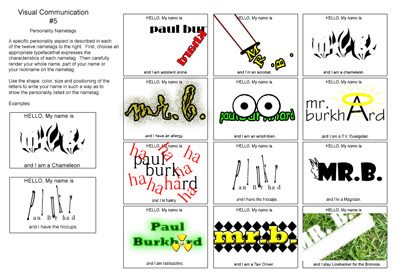 This is primarily seen as a TYPOGRAPHY exercise, in which you make your letters speak for you! PLEASE NOTE: This assignment is designed to be completed in Photoshop, because of the number of special effects that are likely to be used. We will complete a similar project in the Spring using Adobe Illustrator, as well. Photoshop Learning: Using PATTERNS and STROKES. 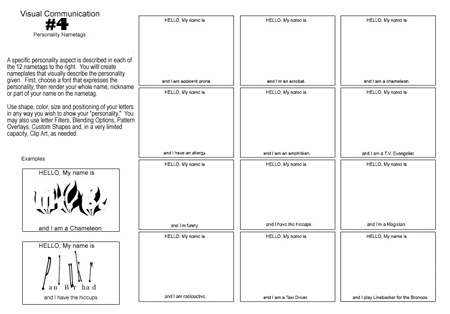 INSTRUCTIONS FOR THE EXERCISE: ZOOM IN on each panel in the exercise and think of a creative way to GRAPHICALLY represent your name to represent the PERSONALITY TYPE listed. Then execute your solution to the best of your ability, using all of your Photoshop skills and learned techniques. Your solutions should look clean and professional when completed. NO ROUGH BRUSH WORK IS ALLOWED! 30 points based on the quality of your creations, completely based upon Mr. B. 's opinion.